Patti Smith grew up in New Jersey before moving to Manhattan in the late 60’s where she threw herself into the bohemian art scene: painting, acting, singing, and, of course, writing. She co-wrote a play with theater icon Sam Shepard, co-wrote a few songs for Blue Oyster Cult, and published three collections of poetry before starting her own band in 1974. 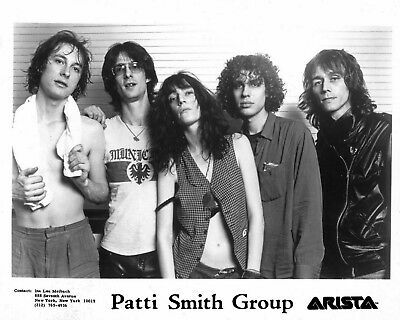 The following year saw the release of Smith’s debut album, Horses, a potent mix of garage rock, punk, and poetry which sent the critics into a tizzy and became a classic in the annals of rock ‘n’ roll. Horses contained nothing resembling a hit, and her sophomore effort proved even less accessible. It seemed Smith’s destiny involved the love of music journalists and a small section of the ultra-hip public. Recording sessions for her third album took place in 1977, in the same studio where Bruce Springsteen was recording his follow-up to the massive Born To Run. The two New Jersey natives shared producer Jimmy Iovine, who bounced back and forth between the two artists. Bruce had written a dark and personal collection of songs, but among the demos he gave to Iovine was an unfinished love song with only chords and a chorus. Iovine asked if Patti could take a shot at writing the verses and Springsteen agreed, feeling he wasn’t in the right frame of mind to work on a love song. Luckily, Patti was (and sooner than she expected). She took the tape back to her hotel room that evening but put it aside since she was expecting a call from her boyfriend in Michigan. Long-distance calls were expensive in those days so the couple only spoke once a week, and Patti was eager and excited to hear from him — but that excitement soon turned to disappointment when he didn’t call at the appointed time. She decided to play the tape of Springsteen’s song while she waited, and suddenly the words of love and lust and longing poured out of her. When her boyfriend finally called hours later, she’d already finished the song. 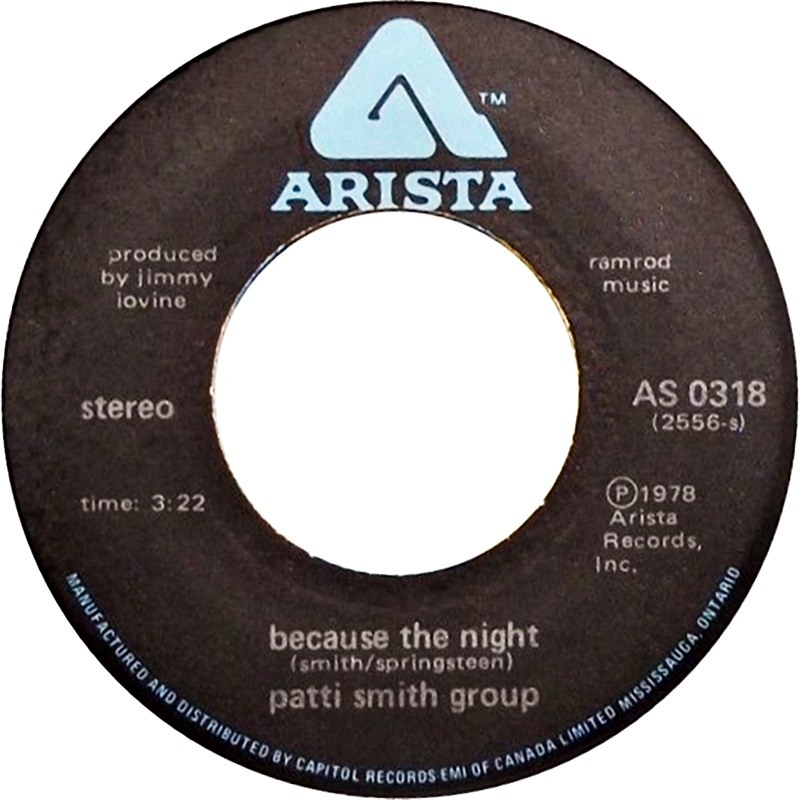 Released as a single in March of 1978, “Because The Night” just missed the US Top Ten and gave Patti Smith her biggest — and only — hit (it was also Springsteen’s biggest hit up to that time). She continued making albums and publishing poetry over the ensuing decades and her memoir won the National Book Award in 2010. Oh, and that boyfriend from Michigan who called her four hours late? She married him. So come on now, try and understand. Belong to the night … with Patti Smith.